Traffic jams cost small cities like Toronto over $3 billion a year. 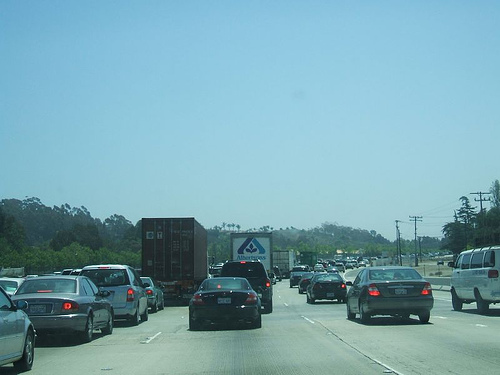 In total, is estimated that 2.9 billion gallons of oil are wasted every year by US commuters jammed in traffic. This translates to 38 hours and $818 a year per commuter. By providing real-time roadside information and even helping home buyers determine how much time it takes to commute to and from work, mobile apps like Waze, Bitcarrier, Iteris, and INRIX are creating smarter traffic information systems that keep money in your pocket and protect the environment. Waze grew to 50 million users and it was purchased this summer by its biggest competitor, Google, for a little under $1 billion.